What should be first said is that this new case is remarkable. Although I’m used with other materials from the german firm, it is clear that there is a intended care to the construction of the case, even better to everything I could have handled before. Saying that the SL case is well manufactured is really an understatement. The whole case is synonym of solidity and extreme seriousness to the manufacturing. While first gripped, it is easy to notice this seriousness, it is in fact composed of an aluminium and glass unit very well adjusted that gives to this object its luxurious aspect and its unmatched solidity. Moreover, to me, as I first saw only a picture of the Leica SL , I should recognize that I was really impressed while I first handled it. More than the weight itself (850g), the density of this object is deserving of respect. The mounting is perfect, with an absolute rigor that can only be appreciated once handled. One may realize the very good work of Leica for it once in a shop, while playing with the case. The covering used is the same as with the Leica Q giving a very enjoyable contact and handling. Joints and lockings have been remarkably studied to bring an optimal waterproofing. Inserting memory cards is very convenient as the housing is perfectly integrated in the case, as well as the idea of the battery with its autolocking system that testifies the professional approach for this device. The backscreen is very nice, perfectly adapted, treated to avoid reflections and scratches. Although the general aspect is very nice, a bad point comes however to me (even if it is absolutely subjective) with the grip of the Leica SL that seems exaggerated and may bother for some users, especially for those with small hands. Giving personally a test of some hours with the case and relatively advanced lenses (zoom 24-90 and Noctilux 50mm f/1,0), I didn’t notice any single issue even without a strap. However, a finer grip would have improved the handling which remains good but may be better. To me, this is important for any reflex camera case for professional use. Even not great, one battery load allows 400 pictures for a normal use with Wifi and GPS activated. What is also handy with the battery comes from its direct accessibility, which allows a rapid change. Another noticeable point, the Leica SL is provided with an ultrasonic sensor cleaning system, which came lately by 2015 with this reflex case while this system has been 10 years ago provided for devices from other brands. Hopefully, this may suggest a continuation for future devices from the german firm. The global remarks left, as the eye is naturally attracted by the 4K viewfinder aka EyeRes, this hit me pretty hard. The viewfinder is excellent, large, wide and very well defined. Although numeric, it is very clear and of a incredible definition. Sure that the technical improvements for viewfinders during the last months are outstanding and more are to come. Numerical viewfinders have been heavily criticized but the performance is rising and there is a net increase in immediate and reliable visualization of the field view. Q’s viewfinder already showed noticeable improvements, but the SL’s one raise this technological device even higher, as this device is to be provided with most up to come cameras. Whatever the optics used, shooting is excellent, so that with a Noctilux, there is no need of a magnifying glass or any other device to be precise. So bluffy is it that the effective focus-peaking is not essential to get the focus. In fact, this rather brings us to a medium format viewfinder than a full format 24×36 camera. The second hitting feature with the SL comes from its very soft trigger even for a reflex camera. It is so enjoyable to shoot as the trigger sound is faint and very pleasant : such feature strenghten the comfortable and tough aspect of the case. The switch from the M9 to the M240 cameras already brought such feelings before, but the case of the SL adds its bit of discretion and obvious strengh. For ergonomics, the Leica has been thought differently compred to what I experienced before. Four multifunction buttons appeard arounf the backscreen (also konwn in the Leica S). Each of those four buttons command a menu with a single touch. Pressing a bit longer allow more advanced functions that may be customized. Two other customizable buttons and a very pleasant joystick (for quick browsing in menus) are available. The backscreen is a touchscreen, which simplifies some validation or browsing commands, e.g. scrolling through pictures or zoom functions. A bit baffling in the beginning, this unique ergonomics is really intuitive once the first handling moments are quickly left, as such ergonomics are even simpler as first thought. Another feature that gives this unique comfortable feeling comes from the screen on the top of the camera which displays the most essential functions of the camera : programmation mode, aperture, speed, sensivity, battery load… In the same way to japanese reflex, this screen remains very handy to get in a glance the whole parameters needed for the shot. The very minimalistic but qualitative white display on the dark background is very appreciated as it is very well done. 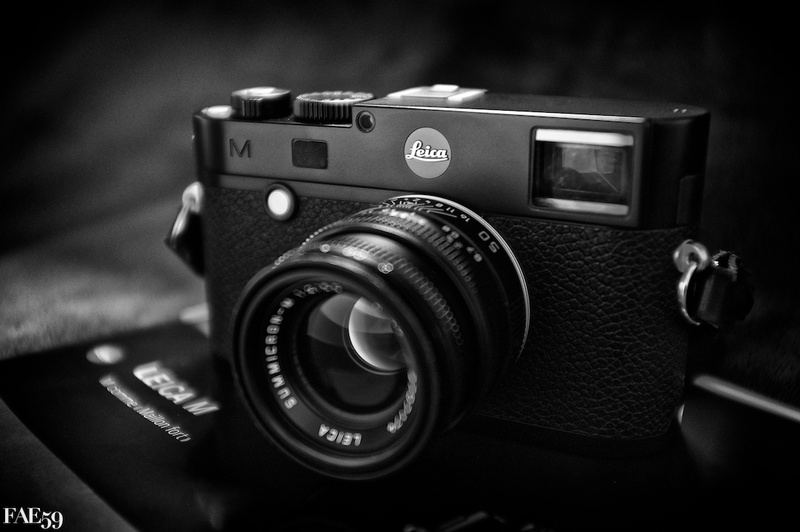 Finally and as for any Leica device, simplicity rules for optimal efficiency in photography. By the first touch, the feeling of being one with the camera is obvious. First of all, anyone who thinks that Leica is only synonymous of manual focus should handle a Leica SL to realize that the german firm is also able to provide an advanced autofocus, coupled with a cadency of 11 pics/s, which makes the Leica SL very quick. With the zoom commonly used by the firm (24-90 mm f/2,8-4), getting the focus comes in a snap whatever the shot conditions. It is also very quick to get the focus between a sort distance and the inifinite. Further element beyond this is the quasi-abolute silence while focusing. Only the 11 pics/s continuous shooting mode would probably make, in terms of picture sharpness, the difference between the SL and full professional Reflex cameras, such test, I confess, I didn’t run. Single frame on the sensor which can be freely moved through 90% of the sensor area. 9 free frames block freely set on the sensor. Multiframe mode set on 37 dots in diamond shape or 49 dots in rectangular shape. What is also important with the multiframe mode is that it allows an almost complete coverage, and that’s a good point for the SL camera. To be honest, as I am not a complete specialist of the autofocus mode, I wouldn’t have a definite opinion on this feature developed by Leica. However, Leica has obviously provided an extremely reliable autofocus system to the SL, which may easily compete with other best products from the market. I was previously impressed by the Leica S autofocus, but SL’s one is even better. Truly efficient, the combination of Maestro II processor and evaluation grid algorithms allowed Leica to provide the SL with a fully reliable autofocus, to be compared with best reflex cameras from the market, which remains a good point for this camera even if the size of its objectives may scare the most enthusiastic amateur. On this point, it may be someway complicated for any Leica M user to imagine this 24-90mm with such a volume and such a load. For any Reflex or professional zoom (e.g. 24-70 f2/8) user, no stress as the size is almost equivalent to this combination with a bit larger focal ranges. For any Leica M (with its own lenses) user, it is however harder to mange with this combination Leica SL-Zoom, which point I will later discuss about the opportunity to couple the Leica SL and Leica M/R optics. Nevertheless, to me, nothing wrong about the optic quality of the zoom. Event not outstanding, this zoom remains very good in all occasions and provide a good work with net pictures for every apertures, very pleasant bokehs and strong micro-contrasts. Equipped with shot stabilization, this zoom allows the extension of exposure time, which feature allow potential shots. Provide in 2015 a 24Mpx sensor on a semi professional camera case, are Leica engineers out of their time? While concurrents already got into the race for cameras with a full load of pixels, Leica still provide this 24Mpx sensor, which remains at the same level than the M240 of 2013. What I think is that the SL is not thought to reflect any given element such as this oversized sensor, but rather to reconcile the overall specifications. A a whole, the Leica SL claims to be coherent, very responsive, very quick with a constant picture quality in every shot conditions. Thus, this is the by-product of the association of a 24Mpx sensor starting à 50isos, a maximum speed of 1/8000s, an ultra powerful processor (already mentioned earlier), incomparable autofocus and a 2Go buffering devoted to a cadency of 24 pics/s. Looking for plain efficiency with a great care to picture quality (event in continuous shot mode) is the main aim of this product, which definition is suitable with a mission of a Reflex, easily coping with different situations to bring top-quality pictures. Compared to the Leica M240 sensor, one may notice the marked improvement of the 24Mpx sensor of the Leica SL. The rise to higher isos is better and 2400/12800 isos may be used without any technical constraints, the 25600 isos may be used only with a meticulous processing of the DNG. On this point, this suggests a derivation from the Leica Q sensor, even if it’s not proven. For both, file processing is very similar. The dynamic remains very good, a bit better than the one used for the M240. It is maybe not a great change but rather an evolution which sounds to me the most important progression factor in digital photography. Sure that this progression goes, even at a low rate. There is a commitment from Leica on picture quality which seems to me unequivocal: the choice of a sensor with well-defined pixel resolution which each pixel fully processed. The lenses of the brand allow optimized results. In fact this is a great achievement of the combination of a sensor, internal processing and allied optics. Since M8’s time, Leica cases and lenses return less digital pictures than the ones produced by other brand cameras, while giving a persistent but fine grain that give any picture a warmer aspect than those colder pictures from the concurrence. For example, by Sony is the rise of the isos better, but Leica still keep their choice. The Leica SL definitely doesn’t depart from this choice and the picture rendering is very pleasant, say it again, as the combination of sensor/processing/optics is really achieved. Moreover, to me, this coherent combination surely brings the achievement of a camera case in order to provide best and nice results, more than the technical specifications of any camera element. Think to any hi-fi system where a wise and welcomed combination is much more pleasant than the specification of any unbalanced oversized element alone. Well, watch out because raw DNG pictures may first appear very soft and these will necessarily be a bit processed to enhance the contrast. To me, this suggests a definite choice of Leica to allow post-production enhancements. Not a single issue encountered with the software Lightroom6 whose license is provided with the camera. However, I didn’t test any jpg rendering, simply because I never use these file formats with such cameras. The Vario-Elmarit SL 24-90mm f/2,8-4 Aspheric zoom will be the best option for anyone who would use both the hyper reactive autofocus and the handy focal ranges, from the proxy-photography to all kinds of portrait shooting. Very large, this zoom is very efficient and specially adapted to bring the best results in every conditions. Two other objectives dedicated to the SL will be provided next year: a Vario-Elmarit SL 90-280mm f/2,8-4 Aspheric and a Summilux 50mm f/1,4. Even if it’s not surprising to get long-focal zooms later, it’s however difficult to understand why the fixed focal was not provided in the same time than the SL. This would certainly have had attracted most fixed focal users, those ones who generally reject the SL camera. Sure that the logic is to get a trans-standard zoom comparable to the 24-70 f/2,8, mostly devoted to professional equipments by the concurrence. Regarding the SL camera, Leica highlights a definite concept of adapter rings which allow the combination with M, R, S, T, Ciné optics. This means that easily, almost all extant Leica lenses may be coupled with the SL. Indeed, this system of adapters is really undertaken by Leica which provide all rings in the incoming weeks (some like the M/R lenses are already available). Further, as the Leica SL is thought to optimize photographic results, that’s why Leica provide also their own adapters, each designed to bring the best results for every mount. The various tests I conducted seem to confirm this will of optimization, especially with R and M lesnes, from wide angle to telephoto lens. As far as I’m concerned, I conducted tests with a Noctilux-M 50mm f/1,0 & f/0,95, a Summarit-M 90mm, a Summicron-M APO 50mm, a Summicron-M 28mm and a Elmarit-R 135mm. Nothing wrong about the results which are excellent with the Leica SL, to me very similar to those I got with the Leica M. The focus is often more precise with the digital viewfinder and increase the precision compared to a Leica M, this would help working with all lenses. Let’s focuse a bit on the combination of the SL with a Noctilux. Whether combining with this advanced lens or with long-focal objectives often problematic with the Leica M (say, owners of a Summilux 75mm would be very happy), the Leica SL is really adapted. Whether by the viewfinder use, in a need of precision and by looking for speed, the SL camera dramatically helps. The very first reason comes from the excellent viewfinder even if some users may find it too much constrasted and note the lack of any setting for this feature. Despite that, this matchless viewfinder allows easily the focus with a Noctilux so that the use of both magnifying glass and focus-peaking are not necessary to get better results than those one may get with the telemeter. Another good point comes for lenses with large apertures : having a start at 50isos and 1/8000s shutter allow the use of specific lenses such as the Summilux and the Noctilux, without using any additional gray-neutral filter, surely the right point under strong light conditions. Remember that the Leica M was only able to use the 100 isos (starting at 200) for a shutter speed of 1/4000s. Because of its ability to be combined with any lens from the brand and even if this is not its purpose, the incoming of the Leica SL in the world of Leica is a very important event itself and will surely asks the question of whether it is able to replace the Leica M.
For some users, for long fond of the M system, it’s pretty hard to imagine any camera case without a telemeter and its associated case. This well known system of the german firm is still so enjoyable that it may be difficult to move from this one to the other. For any user of 28 to 75mm lenses, also difficult to process without M which is, even after six years, a very simple and efficient model. It’s still a great pleasure to use the very clear viewfinder and telemeter of the M, of which the M240 remains the best ambassador. Nice and efficient, it allows the use of the best lenses from the brand. So, is it possible to question the position of the Leica M while compared to this impressive and gorgeous Leica SL? In any case, that’s obviously a personal choice and there is no matter to answer for anybody. However, what I think is that for anyone who use 24/28mm up to 50/75mm focal ranges and for compact lenses (M mount) with larger apertures such as Elmarit, Summarit, Summicron and maybe also Summilux, the Leica M remains a good choice regarding its smaller size and its clear and efficient telemeter. For decades, it combines the same elements, that is to say esthetics, compactness, simplicity and efficiency. So, on this point, what can bring the Leica SL? In fact, this camera allow the user to play with a more balanced combination of case/optics, with greater lenses such as R mounts, Noctilux and Leica Summicron-M 90mm APO telephoto lens, and even all the Summilux (21, 24, 28, 35, 50), which are of a hard use with the Leica M.
Its high quality digital viewfinder will help the focus for macro and long-focal lenses(75mm or more), which is also difficult with the Leica M… And the same for large and very large aperture lenses Summilux, Noctilux coupled with M or R mounts. Not only better balanced, the contribution of the Leica SL to focusing problems experienced by some users will be really forgotten by this viewfinder. On this point, this case is remarkable of ease and efficiency and frees the use of various lenses for a clear benefit in speed. Beyond these focusing issues, the specifications of the case paired up with both the level of the lowest sensivity (50 isos) and the shutter speed (1/8000s) really enlarge the abilities of this product compared to the Leica M, without any gray-neutral filter. The Leica SL is a well-born product. Used with SL specific lenses and other objectives of the brand, Leica definitively make the bet to compete with professional Reflex cameras from other firms. Despite of some earlier issues but with obvious qualities, this camera will take its own place in hands of photographers that waited for long the return of a Reflex in the german firm, mainly those owners of R objectives who were wondering how to use their objectives in optimal conditions (say, there are also many very nice products in this range). But if Leica decided to get back in the Reflex field, this is approached in a complete different way as the other firms. The Leica SL has its own logic. This may bother some users but this logic is unique, more intuitive as at the first sight and after some early short moments felling around the object, this logic appears clear and obvious and this simply brings us to the main thing. Finally, This SL is much more attractive once explored on all its sides. It may potentially raise interest of owners of Leica optics because this case is a very strong and complete object, powerful and easy in every field of use. Even if it brings a higher picture quality as any Leica would do, this camera is efficient in any situation, very responsive and speed up the use of compatible lenses, especially with manual focus lenses such as the M and R mounts. Well, it comes again the final and tricky point as for any Leica equipment: the price… Adding 7500$ for the case to 4700$ for the optics, raise the price up to 12200$ that we must pay to get the whole equipment. The bill is (very) heavy and this naturally stops many users to get it. To me, regarding this case and all other products from the market, the quality of the manufacture is really incomparable, if we remember the quality of the components and of the assembly. Compared also to the Leica M, 7500$ for the case is not inconsistent, reading the SL specifications and everything it allows. NB : For me, I am still wondering if this new camera may replace my M240, precisely because of all this new one may bring for my own activities. As a Noctilux 50mm user, compared to my Leica Q, I confesses that this one brings me ease and efficiency. To be clear, I would choose the Leica Q for the range 28 to 35mm (if necessary 50mm), rather the Leica SL for the Noctilux and my Summarit 90mm (of which I am fond of). Obviously and to be complete, even if very attractive for any autofocus user, I am not interested with the zoom. Votre avis ci-dessus a t-il évolué depuis la rédaction de cet article ? Le Leica-Q me fait de l’oeil mais vu son âge, et le fait de faire un investissement qui dépréciera à cause de l’électronique, j’hésite à franchir le pas. Note : je ne connais pas le monde Leica encore, mais c’est très tentant, surtout avec des articles de qualité comme les vôtres. Du coup j’ai pensé au M, pour son gabarit contenu. Mais l’autofocus me manquera surement (je suis en Nikon). Finalement j’en arrive au SL (autofocus et investissement pérenne en optiques). Mais les optiques SL me paraissent beaucoup trop encombrantes. Pour le SL (l’article existe en français si vous préférez), la gamme optique fixe va bientôt se compléter avec les Summicron 35mm et 50mm par exemple qui sont plus compactes que les zooms. Malgré tout, l’encombrement est bien évidemment supérieur aux optiques M mais c’est le prix à payer pour disposer de l’autofocus. Dans votre cas, il faudra forcément faire des compromis pour faire votre choix. En fait, en fonction des optiques que vous utilisez le plus et si cela peut correspondre, le Q peut-être un excellent choix. C’est un excellent appareil, moderne, réactif avec une optique de très haute tenue. Son autofocus est extrêmement performant et la qualité d’image sans concession. Son rapport qualité/prix est à prendre en considération au regard des prestations qu’il fournit. Le SL est aussi un excellent appareil avec un viseur incroyable et une qualité optique sans concession elle non plus (largement développée dans l’article qui lui est consacré). Le M sera lui plus un appareil plaisir, avec lequel on prend son temps pour composer. Une pratique réactive du M est forcément le fruit d’une expérience plus marquée. En tout état de cause et à mon sens, il n’y a pas de mauvais choix chez Leica, il est simplement nécessaire de faire ce choix de fonction de ses contraintes et aspirations. Pour ce qui est de l’obsolescence, dites-vous que si vous ne faites pas un choix à un moment donné sans tenir compte des sorties futures, vous pouvez rester sans rien acheter pendant des années. De surcroît, un appareil qui donne d’excellentes images à ce jour ne sera pas moins performant dans quelques années. Bon choix et en restant à votre écoute. Merci pour votre retour argumenté. Je viens de faire un petit inventaire des critères qui m’importent : le SL est disqualifié sur l’aspect compacité boitier+optiques. Même avec les Summicron à venir, ca resssemble trop au gabarit de mon D750+optiques. Le Q ressort en tête; à moins que la MAP manuelle du M me convienne finalement. Un essai du M me permettrait surement de me faire un avis plus étayé.